At Swash, before starting any project work we give importance to our technological models. Our developers start the development process after giving wings to our technological platform. Basically, our technological models follow 4 approaches including Delivery Model, Business Model, Engagement Model and Execution Model. Basically in Business Models, Swash follows two approaches keeping an eye on the nature of the business. Those are B2B & B2C. Swash offers various execution models for running applications. This includes project analysis, development process, unit testing & then implementation. Engagement Model includes Time & Material Model; Milestone based Billing Model, Dedicated Development Team Model, and Build-Operate-Transfer (BOT) Model & Fixed Bid Model. Our software delivery team constantly works to provide better facility through insight based improvements. We follow a wide range of delivery models that have been well planned and systematically processed. Swash primarily operates through Onsite, Offsite and Hybrid models. In this model mostly the projects are pre planned and we directly interact with the client. We follow this model when the project requirement is flexible and agile. It is combination of both Offshore and Onsite model. The offshore delivery model indicates that all project development is carried out on Swash premise that is from primary study to testing. This specific model works well in situations where the project objectives are well defined and change from the same is impossible. Our project managers work with tried and tested methodologies to ensure that delivery is according to schedule. The offshore dedicated project team, works inside predefined methodologies, in this manner making this models the most affordable. At Swash, we follow the best delivery model suited for our clients and can meet the market requirement and budget. Our development models have a unique aspect that provides software solutions with cost and quality advantage. We use the latest technologies; have the capacity to handle large projects and, above all, we have the ability to execute timely deliveries. There is a dedicated offshore team with a project manager that monitors the whole process and specifically to the client’s needs. 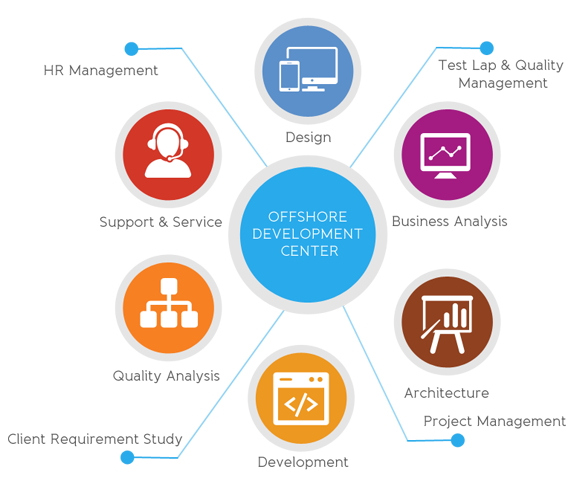 The Offshore Delivery Model is the best option for those clients who expect to have a software application as per their requirement and that can be executed at an affordable cost. Single point of contact at client side. This model is the combination of both onsite and offshore model and is the best one which provides the optimized solution. This model allows scalability and operational benefits. This model is preferred where the project is complicated and continues for a long period of time. Swash’s Hybrid delivery model achieves true value for our client. Swash incorporating flexibility and reliability to the core of a methodology that originates profits from the best of both worlds. We provide the best fit for your business goals through a custom designed application. Our reliable infrastructure promises robustness and security through our dedicated resource team. We work round the clock and provide post operation support. 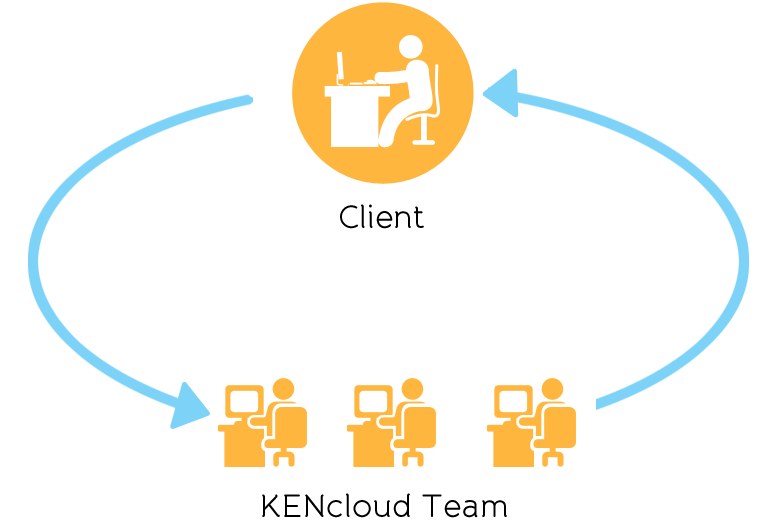 Properly distribute the work between onsite and offshore team. Our requirement analysis and client needs create a seamless extension of project demands into our enterprise. The Swash Suite (SS) is powerful, enterprise-class Business to Business integration (B2B) software that is designed to incorporate partner data and customer with any database or application using industry standards. It combines a process based and Service Oriented Approach (SOA) with application and partner integration to easily and quickly connect external partners with internal applications and automate data flows. It helps for decision-making to firms in the increasingly complex global business environments. Business-to-Business transactions are very frequent and very common. Nowadays, due to the convenience of the internet, most of these transactions are performed online. By doing business online, your company will save time and money. Here are few benefits of doing Business-to-Business transactions online. Doing business online allows instant purchases. Companies can get in contact with other companies they are seeking to do business with, make a first time transaction, and then arrange a process for future transactions. This allows the company to make frequent purchases instantly. You can increase your companies’ revenue by allowing 24/7 online ordering and doing B2B transactions over the internet. You will increase revenue for your company by offering products at all hours of the day. With B2B business model, selling products or services through e-commerce portals is safe as several companies are doing this. If your company has joined the online community, then it can expand its online presence as well as grow its brand responsiveness. Swash Suit is a cloud-based, graphical, easy-to-use application that allows customers to integrate information sources, databases, and software applications, together inside an enterprise and amid customers, vendors, and business partners. These integration data flows can be employed in hours and days, and they can be set up to run automatically in the background without intervention. Common B2B integration scenarios for instance, mapping Electronic Data Interchange (EDI) internal databases can be done very quickly and easily. 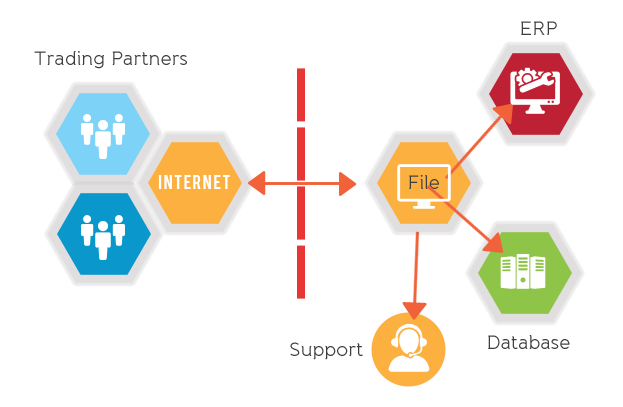 Swash Partner Diagram Suite is unique because it enables the automation of not only the more common system-to-human business processes but, also system-to-system and partner-to-system data flows. Another unique attribute of Swash is the inclusion of a web portal and design studio that is completely web-based, making it extremely easy for business analysts to configure functionality. SS includes all the functionality of B2B Integration and ETL Data Integration. It lets companies to centrally handle all their integration interfaces from one web-based application. Swash Suite includes comprehensive and rich support for all the industry standards that are utilized in today’s world. The built-in web-portal is easily and quickly configures partner profiles. Provide data security and encryption. Allows user to upload and download documents securely. Every business owner anticipates of taking their business to the peak. They can achieve this by setting a well-planned business process in co-ordination with a solid team. It sets the guidelines and objectives and future picture of an enterprise. Swash offers different execution models for running applications. Each one is designed to provide a specific services depending upon the exact requirement of our clients need. There are two major types of solution in SharePoint-farm solutions and sandboxed solutions. Each solution serves the clients with various execution models. It can be defined as a collection of resources that is used through the server side file system in your SharePoint environment. 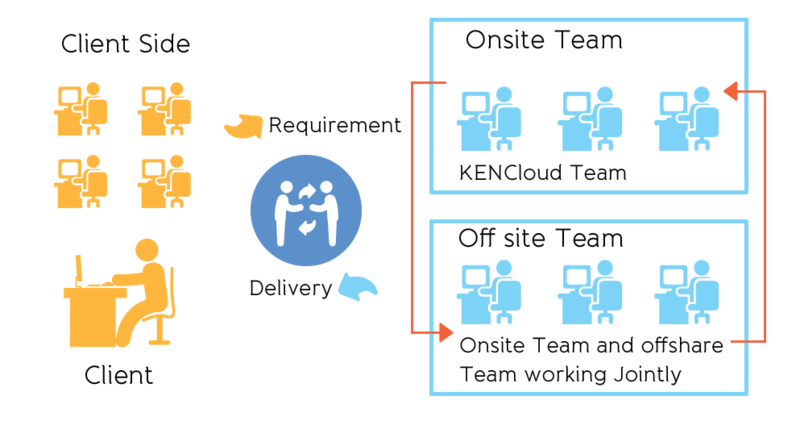 By using this solution, you will have complete access to share point object models as resources as this solution uses the process as share point does. Mainly there are two execution models given for the clients to choose while using firm solutions. Bin folder/code access security (bin/CAS) execution model. It is easy to understand the concept of these two models for those who are acquainted with Office SharePoint Server 2007 and Windows SharePoint Services 3.0. It gives access to use your assemblies' cache on each web front-end server and application server in the server farm. It guarantees code security. Thus your code will run with full trust while loading the assembly from the global assembly cache. Apart from this, your solution will be available to any web application on the server farm. It allows you to use your assemblies to the bin directory correlated with a share point web application. But the activity perform by the code are restricted due to securities policies. It is a collection of resources used directly to a specialized gallery (library) in the root site of a site collection. It does not require an IT Team to use sandbox solution as one can directly upload the WSP through the web user interface. There are two approaches/ model to use the sandbox solution. When a request is received by SharePoint Web application method, then assembly is not loaded directly. The web application operation loads an execution wrapper that further loads assembly into an isolated sandbox operation. But the advantages are confined. While using sandbox execution model, there is limitation in scope to the site collected in which it is used. Compared to the sandbox execution model, hybrid offers a complete solution. You will be able to execute global access control by using a full trust proxy. As a controlled exit point and fully trusted, it allows your sandboxed code to make a synchronous call out to logic and is fully trusted that executes outside of the sandbox process. At Swash, every solution offered to our client follows a systematic and well-integrated process in order to deliver the best output. We initiate by collecting and analyzing appropriate information regarding your business needs. After having an in-depth analysis, we design a preliminary document containing the major aspects of our research, project cost quote along with some innovative ideas to address and fulfill your business needs. Here are some major steps those are deployed before the confirmation of the project. It is a formal document that talks about the terms and conditions for both the parties, services provided, terms of payment etc. It is signed by both the parties before the project starts to avoid any confusion later. Swash understands the privacy of clients and so as to protect the intellectual rights and sensitive information given by clients'. We collaborate with our clients by signing Non-Disclosure Agreement. A single point of contact is required from both the end to answer all the queries, taking approval before making any changes and discussing all the major aspects throughout the project work. The persons involved in the communication process are generally Account Manager, Project Manager and Delivery Manager and so on. 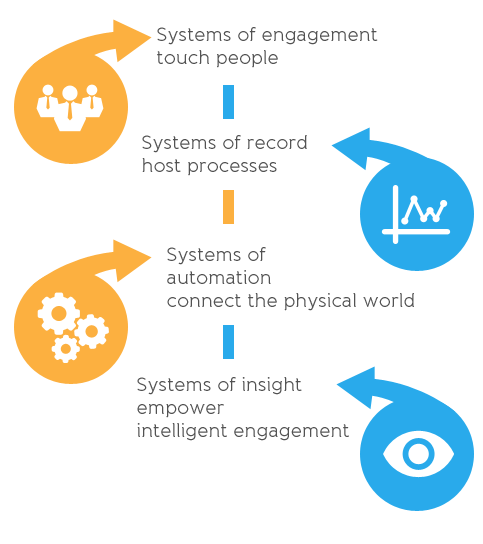 Swash analyzes the client's business process and requirements and based on that we provide them with a customized solution. After performing a complete analysis of client's requirement, we prepare a detailed report containing identification of resources, project plan, execution methodology and quality control approach for better understanding of the client. An internal meeting is organized to define the roles & responsibilities within the team members for all the phases of project execution. The persons involved in pre-sales period and business manager sits together in the meeting to make the development team understand the exact requirements of the clients'. The meeting also clarifies the communication channels & reporting mechanisms. The client is provided with the same details mentioning the team members and their roles with respect to the project. We prepare an architectural design that would be common across the project. We also create software architectural design in required instances which cover overall solution structure and the technical decisions. After the completion of above task, it is time to work on to build the solution as per clients' requirement. As the team members are already assigned with their specific task so the project development work runs smoothly. Requirements are transferred into a working system enabling client to check the status of the project and progress. They can give their valuable suggestions or comments to add more quality to the product. Intermediate project deliveries also undergo testing and validation so that bugs can be removed early in the Project Development Life Cycle. Build and QA (testing) go together and establish a development cycle until the final build is ready and the quality is accepted by the customer. Now it's time for the developers to document the Test Case Specifications which includes inputs, process, expected and actual outputs. It is prepared once the coding for a module is completed. Then the developers test the module following the Unit Testing Guidelines and other testing techniques. Testing is done to ensure each of them is working at a unit level. After checking the quality of the product through a complete set of testing methodologies, the product is ready to deliver. However, it is vital that product should meet the clients' expectation. Then only the client is ready to accept the delivered product. So keeping clients requirement in mind we undergo all the methodologies. User Acceptance Testing (UAT) makes sure that the application developed passes the criteria as defined by the client and Swash. Now we have to follow the Bug Fixing Phase once the project work is over. The duration and other details are already mentioned in the proposal. During this period all bugs will be fixed for free as already defined and agreed in the proposal with respect to development. Our team of experts including Project Manager, Delivery Manager and Project Reviewers send the Project Status Reports (PSR) to the client to make them aware of status of their project. It can be weekly or monthly. After checking the Project Status Reports (PSR), clients can give their suggestion and after their acceptance only we move ahead. We make sure all the processes are followed during all the phases of the project. The basic purpose of Project Status Reports (PSR) is to track the changes, mitigate the risk risks, and follow the timeline and to monitor the team work. We strictly follow proper communication and reporting protocol by using standard report templates and communication mechanism. Weekly project status report and project plan report maintains the transparency between Swash and its clients.